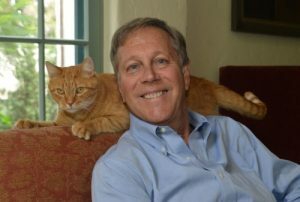 Photo courtesy of Dana Gioia Dana Gioia, an award-winning poet and former chairman of the National Endowment of the Arts, will be named as a “Champion of Literacy” for his advocacy work in bringing the arts to all, especially the underserved. Award-winning poet, writer and former National Endowment of the Arts chair Dana Gioia will be honored by the Walt Whitman Birthplace Association on April 30 with an award dubbing him a “Champion of Literacy” for his work supporting the arts. Gioia served as the NEA chair from 2003 to 2009, helping its recovery from cuts in the late 1990s. He started programs like Poetry Out Loud in 2005, a national poetry recitation competition, which encourages students to learn about about the literary art form through memorization. Though the NEA and other such institutions have been eyed by President Donald Trump for cuts, Gioia stated little worry in the NEA’s future. “Although President Trump has requested that the NEA and other cultural agencies be eliminated, the National Endowment for the Arts is in no danger. There is enough bipartisan support in both houses of Congress to keep the NEA safe,” Gioia stated. Gioia further said that during his tenure, the endowment built that support by crafting high quality art education programs throughout the nation, with a special focus on underserved communities. He said Congress “appreciates and understands” the value of such programs. Aside from his advocacy work, Gioia is currently occupied serving as Poet Laureate of California. Though he said he’s obligated only to make three public appearances a year in the role, he’s embarked on an ambitious goal: visiting each of the state’s 58 counties. His trip to New York includes stopping by Fordham University and is the only out-of-state trip in the first half of the year he’s making. He’ll be appearing to receive his award at the birthplace (246 Old Walt Whitman Road, Huntington Station) from 2-4 p.m. The program is free and open to the public, with refreshments to be served.